Mathew Weymouth is on a one-man mission to ignite game development in his state. Mathew Weymouth lives one hour away from the birthplace of the blues, that humid, fertile swampland known as the Mississippi Delta. He grew up along the state's southern coastline, and over the years he absorbed tales of legendary local artists including "The Mad Potter," George E. Ohr, and the painter Walter Inglis Anderson. The Delta fertilizes creativity like it spawns towering cypress trees, and Weymouth is a product of his environment. He's an artist, but with a technical twist. Weymouth is a self-taught video game developer with big plans for his local community. He wants to build a "gaming incubator" in southern Mississippi, a creative haven for the area's youth, artists, musicians, filmmakers and programmers. It's basically a high-tech neighborhood center where people can work together to create video games and other works of art. But there's one major problem with this idea: He might be the only serious video game developer in the state. "Here, it's literally just this dead zone in the middle of the United States for technology," Weymouth says. He holds out hope that there are other developers quietly working away in Mississippi, but he's been on the programmer prowl for about a year and hasn't found much. He founded a Facebook group, Mississippi Video Game Developers, in August, and so far it has two members: Weymouth and one other guy who plays around with GameMaker software. Weymouth's company, War Room Studios, is registered with Mississippi, and he's working on a Super Smash Bros.–style brawler called Vellum Wars, though both his artist and musician are out of state. He calls Mississippi a wasteland for technical prowess. "That's what it feels like to be a game developer or even just a creative person in this area," he says. "You live in your own little bubble, and that's not how creativity flourishes ... This is a real industry, and it's not going anywhere, and the fact that our state is not capitalizing on it is just a travesty. There's people in Florida doing it, there's people in Louisiana and Alabama. Why are we this dead zone in the middle of all that?" Despite Mississippi's digital deficit, Weymouth has hope for the state's technological future, because he believes in the people of Mississippi. He knows artists and sees opportunities for education, training, entertainment and creative expression everywhere -- even in run-down, closed-up buildings. Parts of Mississippi are still recovering from the carnage that Hurricane Katrina dumped on the region in 2005. Weymouth says rental fees are high in his town because of inflated insurance rates since the storm, resulting in rows of vacant storefronts. He passes these empty buildings every time he drives down Gulfport's main highway, and they fuel his drive to do something, anything, to help his community recover and create something beautiful. Google Maps captured one abandoned building along a Gulfport highway. "It just drives me nuts," he says. "I'd love to be able to remove the wall for anybody who wants to be creative, even if it's just a local band that just needs to use sound equipment. A video game studio has that." Weymouth thinks big. He imagines an incubator outfitted with computers (complete with major game-engine licenses), sound equipment, a physical-art space, experts-in-residence from a range of fields, and, grandest of all, a motion-capture studio. He wants to host game jams and tournaments at the studio, and he'd encourage schools to bring students on field trips. He dreams of a community hub for creativity and collaboration. The incubator wouldn't just be a place to learn and create -- it would be a lifeline for Gulfport's vulnerable youth. It certainly would have helped Weymouth when he was a kid. He comes from a large family, and he left home as a teenager so his kin could afford to live a better life. It was a "one less mouth in the house" kind of thing, he says. As a young adult, he floated between the streets and stable housing, and he met other young people in similar situations along the way. Another potential home for Weymouth's gaming incubator, captured via Google Maps. "I've just seen all these people go through this horrible stuff, and I'm like: That person was a beautiful artist," he says. "If they just had a place to paint, they might not have gone down that terrible route. They could have seen a future." Weymouth had a leg up in terms of job placement. He loved video games from an early age, and that interest put him on a technical path. He taught himself how to program and eventually ended up fixing computers at a "big blue box" retailer. He's 29 now, married and with a three-year-old daughter. "There needs to be more business here for creativeness, gaming, entertainment in general," Weymouth says. "If you don't want to go to a casino or go to a bar around here, as a young adult, you really don't have much else to do." The gaming incubator could be that business. Weymouth isn't all talk; he's been trying to sell the idea to potential investors in groups and at private dinners for a year at least. In his pitch, the gaming incubator offers an affordable monthly subscription that provides access to the studio's tools and experts. The program helps burgeoning developers create and publish video games, and then takes a slice of the profit to keep itself afloat. No one has bitten yet. Weymouth says investors have typically responded with things like "No one cares about video games in Mississippi," and "There is no game industry in the state -- for good reason." 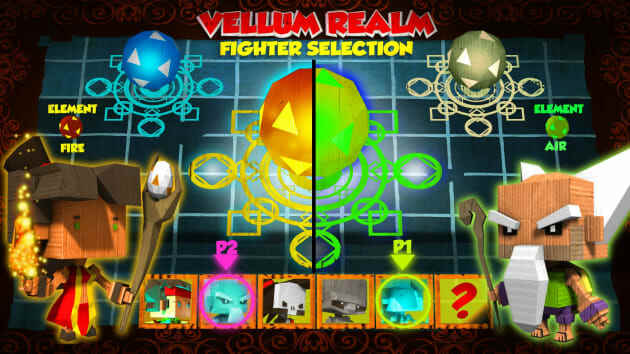 Weymouth says Vellum Wars is like Super Smash Bros., but you won't need a Wii to play it. He attempted to secure small-business loans and funding from banks, with similar luck. Interest rates were too high ("financial suicide," as Weymouth puts it), and other complications blocked those avenues. That's one reason he's working on Vellum Wars, his party brawler for PC. If he proves that video games can be financially successful, his incubator pitch might carry more weight. "I decided, Well, I'm going to have to do it the hard way," he says. "I decided to sit down and create a game with as much inner resources that I could. Everyone's always told me my whole life that I don't do things simply. I always go over the top on things, and here I am doing it again." Weymouth's incubator idea is mired in red tape, but it isn't completely unheard of. Rock Band Blitz and Dance Central co-developer Fire Hose Games launched an incubator program based out of Cambridge, Massachusetts, in 2013, with the goal of helping new developers create and sell their first games. So far, the studio has brought Chris Chung's cat simulator, Catlateral Damage, to PC, Mac and Linux, and it's working with Batterystaple Games on the action platformer 20XX, which is on Steam Early Access. 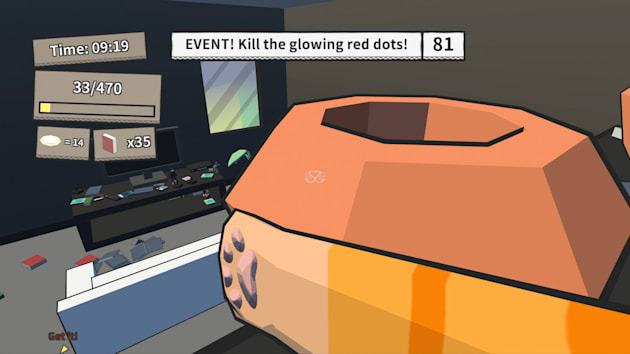 Embody a feisty feline in Catlateral Damage. These are two of Fire Hose's successes, though its first incubator game, Let's Quip, didn't do so hot, according to studio co-founder Eitan Glinert. Fire Hose eventually removed that one from the App Store. "Two out of three? That's pretty good!" Glinert says. Even though Glinert calls Fire Hose's incubator (or "accelerator") a success overall, he advises caution for someone like Weymouth, who's attempting to start a program from scratch in a tech-barren region of the country. 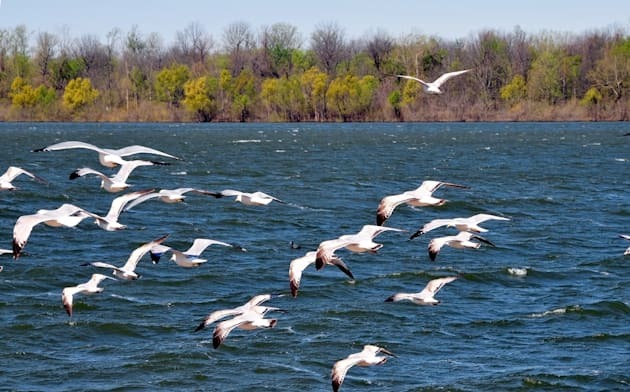 Glinert correctly guesses that it will be difficult for Weymouth to find both developers and investors in Mississippi. "No sensible investor wants to invest in video games right now -- it's a horrible industry to invest in at the moment, at least on the small or indie scale," Glinert says. Weymouth's biggest issue may not be funding, though. Glinert says that the most problematic aspect of running an incubator is actually finding talented teams that can keep the business running. Searching for these developers takes time, and supporting their efforts takes money, and it's best to invest only in those that will churn out profitable, attention-grabbing games. 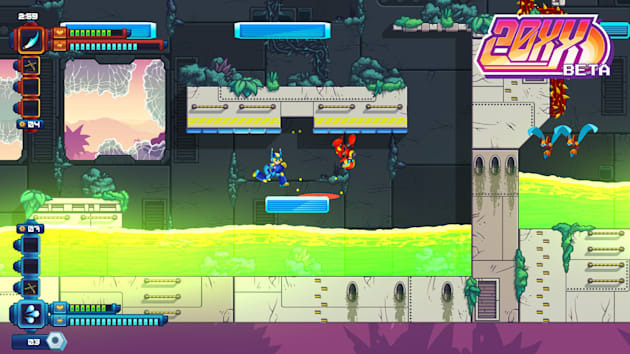 20XX is on Steam Early Access and it's already selling well, Glinert says. "I didn't expect how hard it would be to do this when I started," Glinert says. "Plus, you're limited largely by region -- it's hard for us to compete with accelerators on the West Coast, so we're really only looking at folks on the Eastern Seaboard." A new accelerator would work best if it's tied to an existing source of quality developers, such as the Independent Games Festival, IndieFund or even a university with a gaming program, Glinert says. That last part might be difficult for Weymouth, since there are no video game–specific programs in Mississippi universities, according to The Art Career Project. Plus, Glinert says, it's nearly impossible to find funding for these things. Fire Hose ended up bootstrapping its own accelerator. "I think your best bet to fund an incubator, if you don't already have the money, is to find successful or rich game devs who understand the industry, believe in you and what you're doing, and want to back you," he says. Overall, Glinert says an incubator can definitely be profitable, but it's a long road packed with massive, money-shaped potholes. All of this may not be terrible news for Weymouth. He isn't interested in working only with the top developers in the nation; he wants people from his area to have a place they can express themselves and network with other creative types. His incubator is community-focused; it includes plans not just for video game development, but other forms of art, too. He hasn't explored all of his funding options, and alternative routes like Kickstarter are still on the table, even though Weymouth says he has a problem taking money from people before he has an actual product to deliver. He even likes the idea of running a nonprofit business. Still, he'll have to figure out some way to keep the lights on. Finding an investor will be incredibly difficult, but Weymouth already knew that. Besides, he doesn't want just any investor to throw money at this project. He wants someone who cares about Mississippi. "The investor who is in the state is doing it for the people here," Weymouth says. "If I get somebody from out of state, they're not going to feel the same as I am about the local people here." Vellum Wars should be ready to brawl in about six months, Weymouth says. Weymouth wants to build a hub for future video game developers, filmmakers, musicians and artists to flourish. He wants young people to be proud of their home state, and, in turn, he wants Mississippi to be proud of its creative pioneers. Weymouth wants to show his neighbors, family and friends that there's a bright future in Mississippi's gaming and art scene, if only it's allowed to take root. "You deserve a future," he says, speaking to the hypothetical artist at his incubator's door. "You have talents and skills that you've acquired through hard work. You deserve a future. You're not lazy. You just have struggles -- and we all have struggles. It would be cool to just be able to remove the wall and allow creative prowess to get some exposure and a future." Weymouth's dreams are immense, potentially naive, and maybe impossible to achieve. But he's been dreaming big all of his life. Why stop now? "I'm not in this to make money," he says. "If I wanted to make money, I'd go get a nine-to-five where the money is guaranteed. I'm in this for a future where I'm not a cog in a machine. I'm doing something to help people."